Very interesting draw.The defending champion John Higgins got a tricky draw who faces Liang Wenbo in the first round, good luck to Higgins in avoiding to fall in the 'Crucible Curse'. Stephen Hendry, who will appear as a qualifiers for the first time in years draws Stuart Bingham, not a bad draw for the seven-time World Champion. Stephen Maguire will be matched against Belgian Luca Brecel, the youngest player ever to qualify for the Crucible. 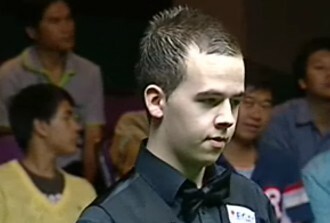 That will be an exciting match as both players play attacking snooker. 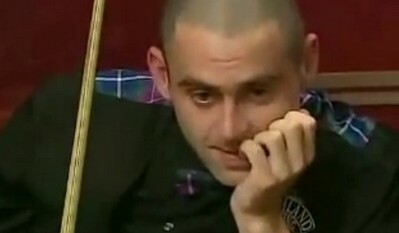 Stephen Lee who had a good run in recent years will play Andrew Higginson. Judd Trump got Dominic Dale, so that will be a re-match of UK Championship first round last year. No doubt the most interesting match among the first round matches must be The Rocket versus The Psycho. Their quarter-final match on 2005 World Championship which Ebdon won 13-11 from 6-10 down. 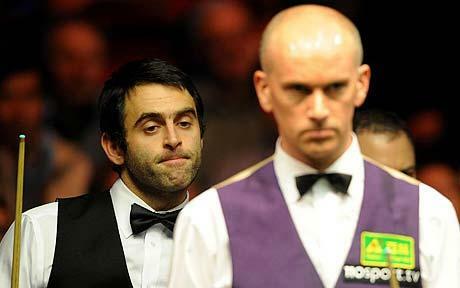 Ebdon received criticism on playing 'slowly' - at one stage taking three minutes over a shot and five minutes for a break of 12. Ebdon, who won the last tournament China Open had whitewashed Alfie Burden to qualify for The Crucible but The Rocket would surely want a revenge. Neil Robertson draws Ken Doherty and it will be a competition between two former World Champions. The World Number 1 Mark Selby who withdrew from China Open in the second round due to neck injury will play Barry Hawkins. The Chinese Hero who is tipped by Jimmy White to win this year's world title will play Ryan Day in the first round of World Championship. Along with Ding, three Chinese will appear at the Crucible this year. First round matches are best of 19.